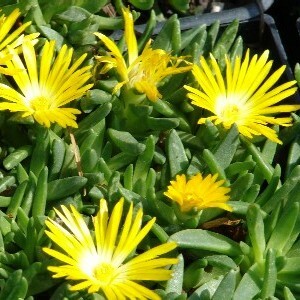 Yellow ice plant. Forms a green carpet with yellow flowers in summer. Native of higher altitudes of Eastern South Africa. Prefers sunny spot in a free draining soil, ideal on rockery or scree garden. Hardy.